Love the bracelet. Did that come with your speedy? 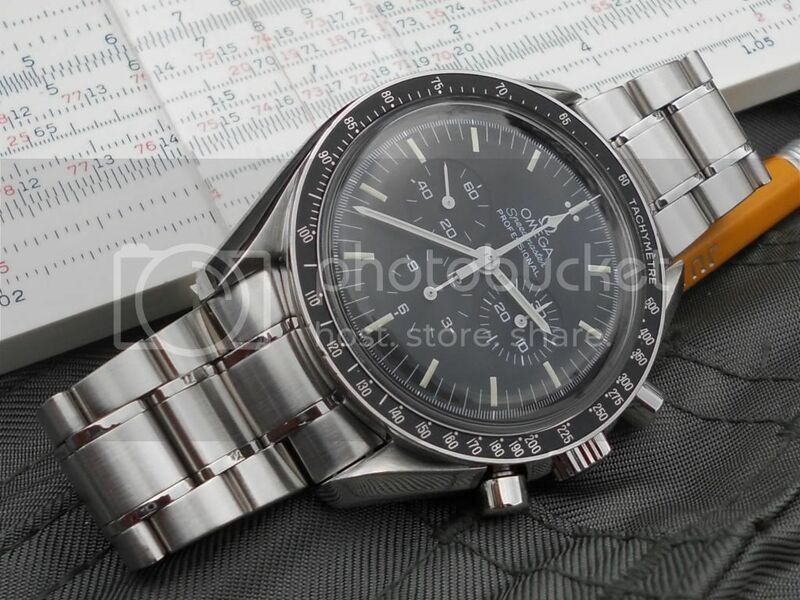 Speedmaster c.1045/Lemania 5100 mov't., sometimes called the "Mark 4.5." The 15mm thick case/movement is completely removable from the 176.0012 outer case. flyinghell34, Fullers1845, kjse7en and 1 others like this. Last edited by weklund; December 23rd, 2012 at 18:07.
kjse7en and Portland like this. I request membership as of today! flyinghell34 and weklund like this. I completely forgot to post here after this week's new arrival! 3573.50 joining my Date. Thrilled with both of them. weklund and SeanoftheDead516 like this. 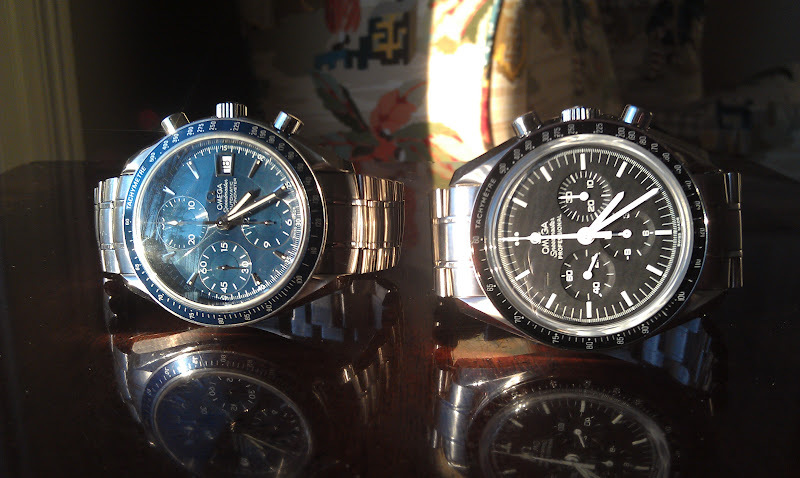 Probably my best Speedmaster picture to date so I think I will enshrine it here for safe Speedmaster photo keeping. MellyVinelli, Fullers1845, PeterA and 2 others like this. But what is that in your background? That braclet is from my SM300. The braclet works for the panda dial, not so much with the black dial speedy. A relevant question for the computer era. It's a slide rule. Nice pic flyinghell34!! Last edited by JKolmo; December 22nd, 2012 at 15:43. Last edited by davehb2001; December 24th, 2012 at 23:17.